Winston ChurchillThere are 7 products. 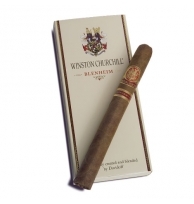 The Blenheim is a large format cigar, its thick ring gauge and extra length enables the cigar smoke to remain cool and rich. A full-bodied corona named after the family home of Winston Churchill. A beautiful Corona, full bodied and intense with a long and satisfying finish. A Toro that delivers a rich and flavoured smoking experience. 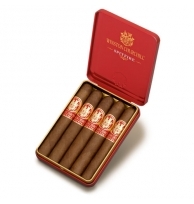 A magnificient Robusto cigar, full bodied and with complex flavours. 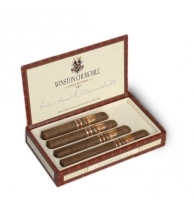 A full-bodied short corona with excellent flavor, made completely from cuban seed tobacco.